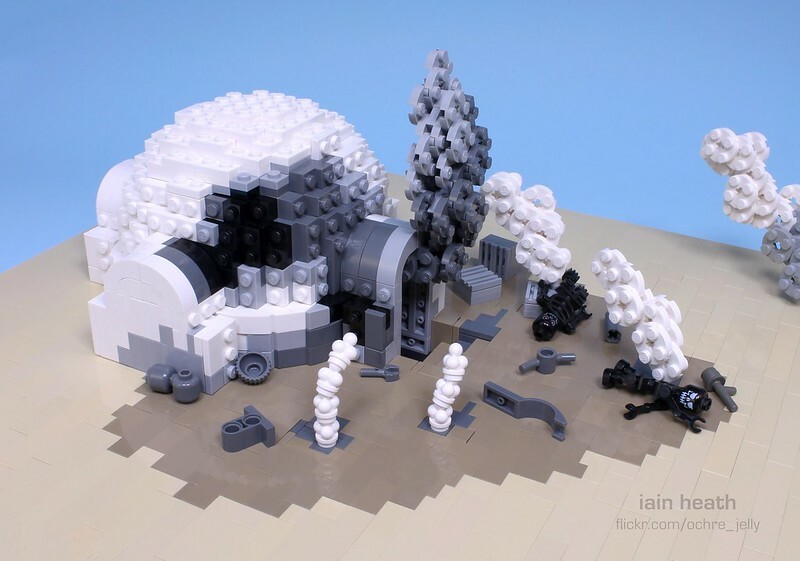 Seattle artist and humorist Iain Heath (a.k.a. 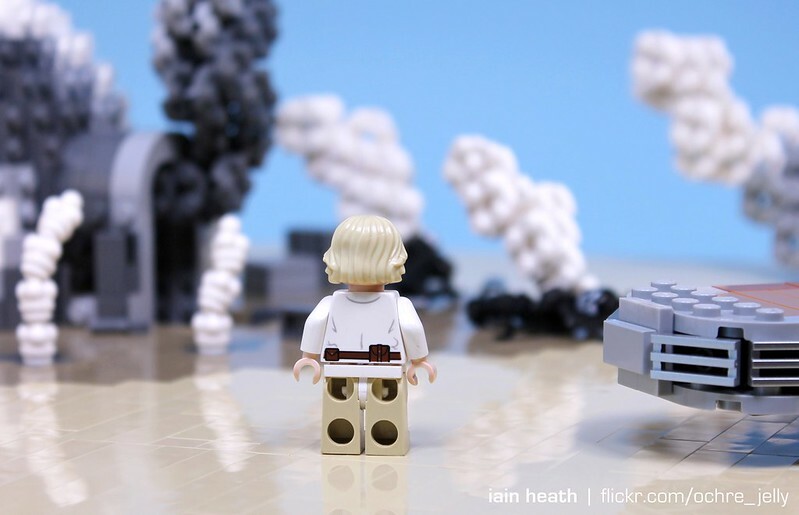 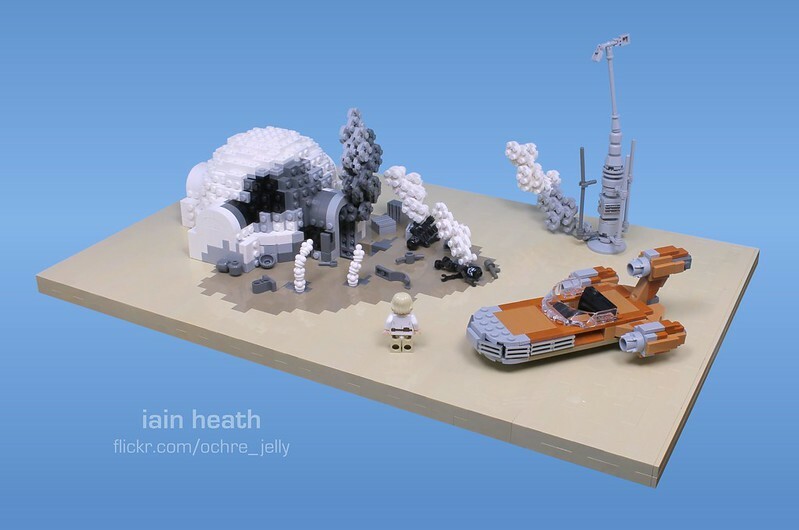 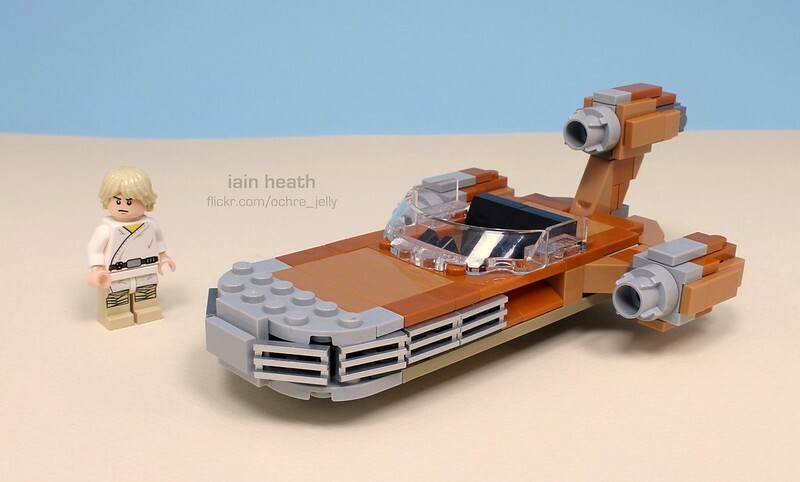 “Ochre Jelly“) recreated Luke Skywalker‘s grisly “Burning Homestead” scene from Star Wars: A New Hope using LEGO. 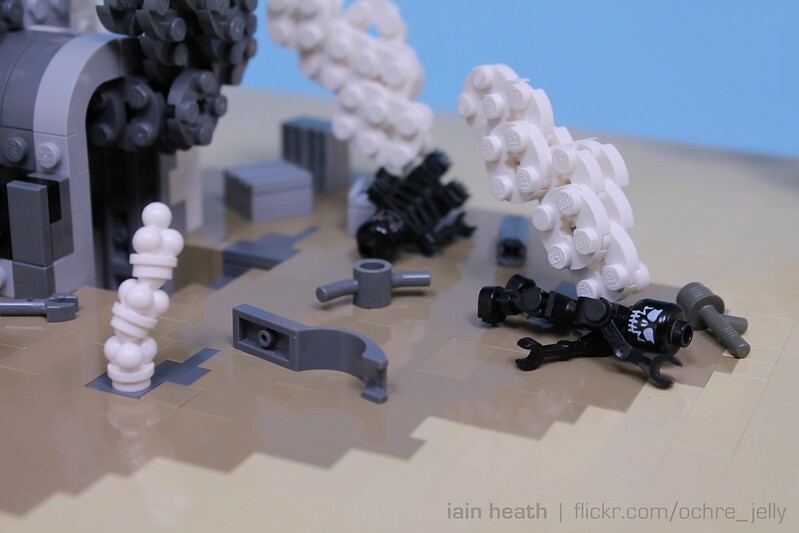 Heath’s full series of photos are available to view on Flickr.